Public radio pledge drives have been the medium’s signature fundraising method for nearly 40 years. As public broadcasting budgets relied more and more on listeners and viewers, the twice-a-year “beg-a-thons” became a familiar and unavoidable part of stations’ schedules. Even the stations know that their audience isn’t crazy about them, but they’re also effective. Public radio stations are at least trying to keep pledge drives interesting. And having seen things from the inside all these years, I can’t help but admire the dedication and energy it takes to ask consumers of a free service to pay for it. 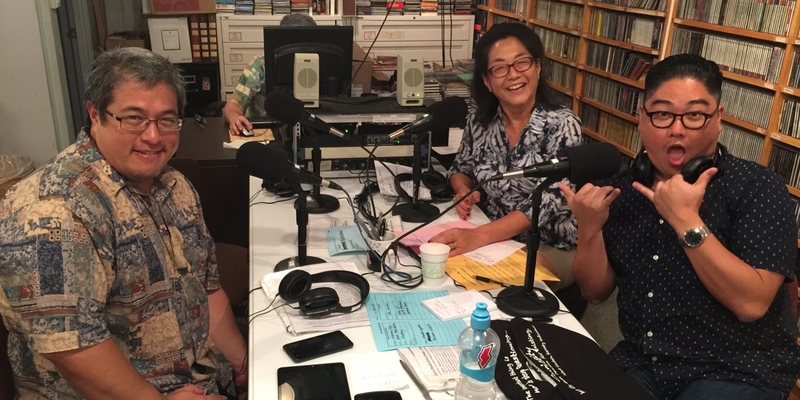 Hawaii Public Radio gets 55 percent of its income from listeners, and now works hard to raise $1 million with each drive… although in the last few years, the drive has gone into overtime. So over the last few years, public radio fundraising has evolved to find more “sustaining members.” Instead of convincing listeners to donate once a year, then haranguing them to renew annually, a sustaining member signs up to donate automatically every month, hopefully indefinitely. And the more sustaining members a station has, the less the station has to raise via on-air pitches. Of course, there are benefits to the listener, as well, in addition to a warm, fuzzy feeling, and the secure knowledge that you’re paid up in your membership (which comes with invitations to special events, members-only offers, and yes, a “thank you gift” once a year. HPR already has about 3,000 sustaining members, versus about 12,000 regular members, meaning 20 percent of its most devoted listeners are generous enough to set up automatic payments to the station. That was already enough for HPR to lower its spring pledge drive goal by $34,000, despite rising costs. But HPR obviously wants to find more sustaining members — Minnesota Public Radio, which started its sustaining membership program in 2007, has over 60 percent participation. 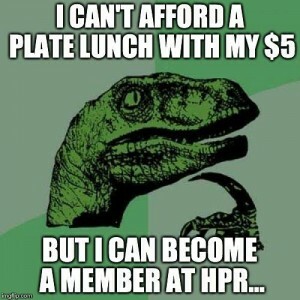 So HPR has declared tomorrow, August 7, “$5-a-Month Friday.” The goal is to find another batch of devoted first-time donors. It’s certainly a manageable number. $5 is than what some people spend on coffee in the morning, every morning. It’s barely enough for lunch. And it’s much less than the price of a movie ticket, which gets you two hours of entertainment… if you’re lucky. The good news? There will be no interruptions in regular programming tomorrow. 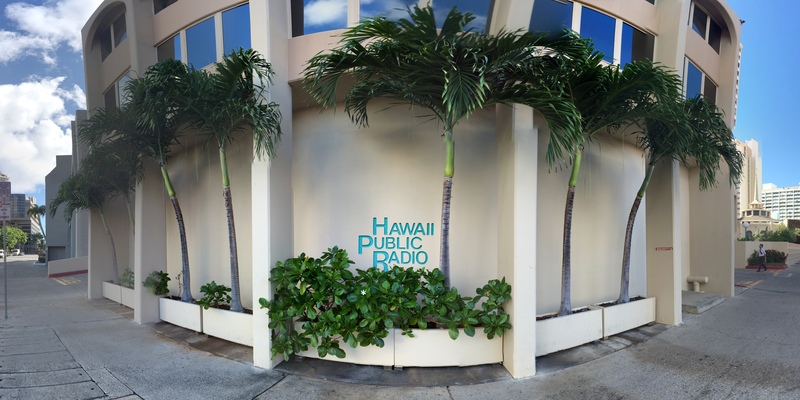 HPR hosts will just invite people to become sustaining members in regular breaks and promos, and the station will be making its case on social media and reaching out to members and listeners via email. “$5-a-Month Friday” runs from 6 a.m. to 6 p.m., and there will be volunteers at the phones to welcome new sustaining members. You can call (808) 941-3689 or call toll free (877) 941-3689, or just join online. And, you know, it’d be great if you’d mention that you listen to Bytemarks Cafe.